Happy New Years Eve!! I hope you all have a fun and safe New Years!! Since we've been doing so much traveling lately, we don't have much planned for tonight. I really wish we had the energy to throw a NYE bash, here is what it wold look like if we were! I'm trying to soak up every last bit of festive around here and perfect my 2014 goals, so until then I'm finishing up our little Christmas recap with a photo dump. 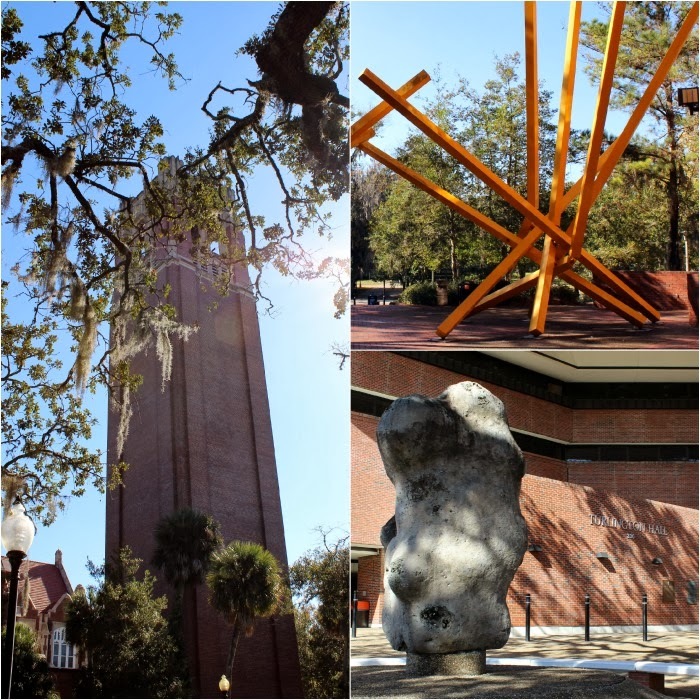 As I mentioned yesterday, our trip for Florida for Christmas started with my first visit to the University of Florida, our Alma Mater, since I graduated in 2009. It was SO nostalgic walking past our old stomping grounds! The hubs and I walked all around the empty campus with Ruby, taking photos and then grabbing a bite to eat at our favorite spot... The Swamp Restaurant. I realize everyone thinks their campus is the best, so humor me because I had a hard time narrowing down my favorites! My favorite spot on campus, next to the "Plaza of the Americas." Our campus has this thing about art that looks like food, including the "fries" and "potato" in the center of campus. 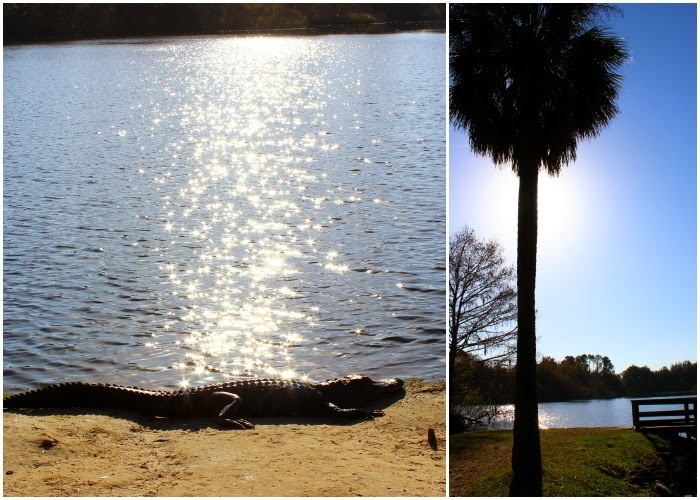 The next photos were taken near the Baughman Center and Lake Alice on campus. 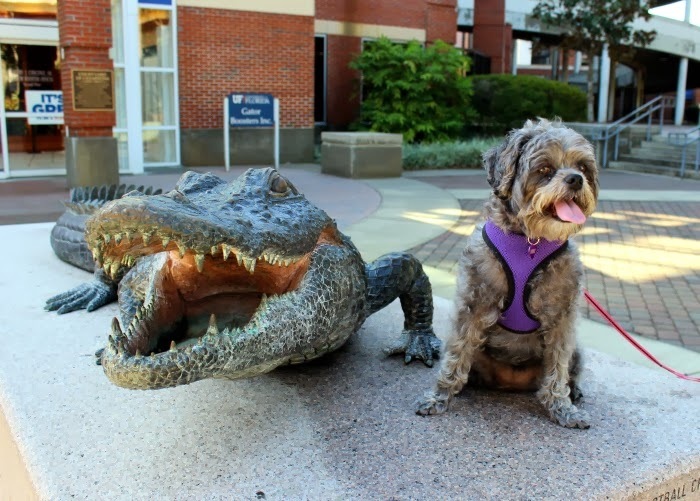 How many people can claim they have seen real live versions of their mascots on campus?! Pretty cool, but kind of dangerous in this case. I used to run stadiums here... when I was in shape and the cheap college beer hadn't caught up to me yet. 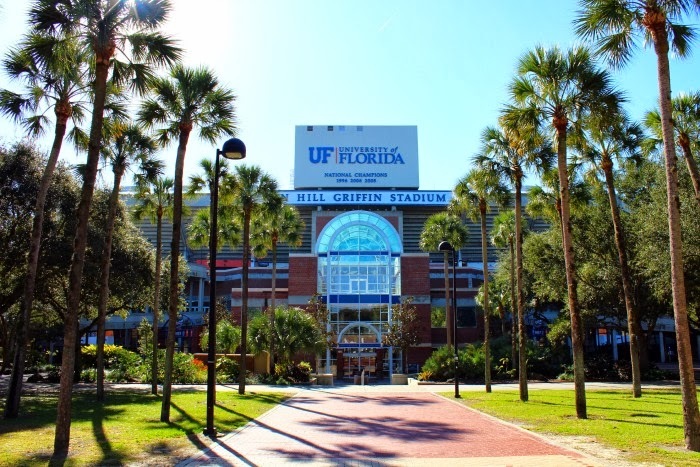 After leaving Gainesville we decided that our future children can go anywhere they want for college, provided that it starts with "The University of" and ends with "Florida." Ha! Have you been back to your Alma Mater since graduating? Anyone else feel totally old there now like we did?! 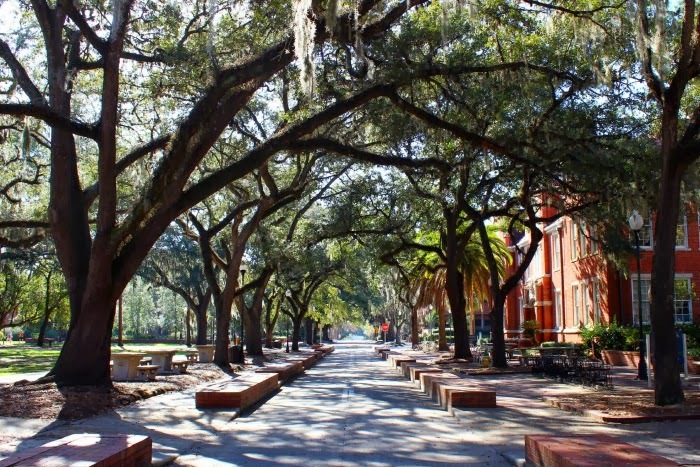 Aww, I went to USF, but many of my friends went to UF, and so I have been to that campus many times, and it is definitely beautiful! looks like so much fun! I've only been back to my alma mater once since graduating... I need to go back more often. Happy NYE!!! What a beautiful campus! 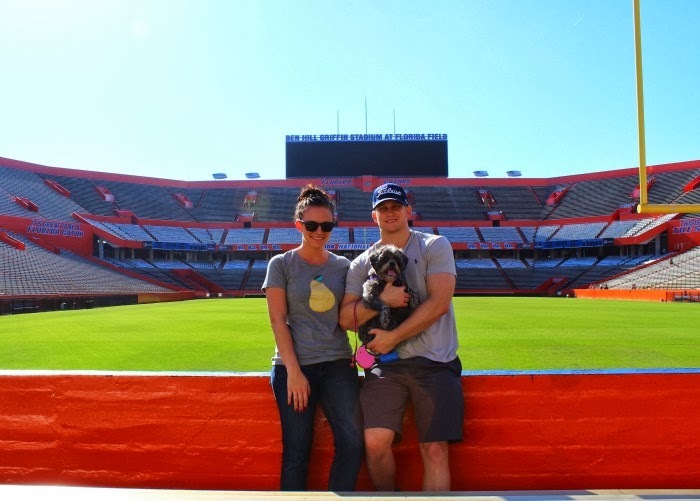 Love Ruby with the gator and your family photo in the stadium. Best wishes for 2014! Gorgeous campus! I love the food art! Too funny! Looks beautiful. I went to university of Delaware and loved the campus. We are planning a trip this year... Neither Chris or Noah have been. 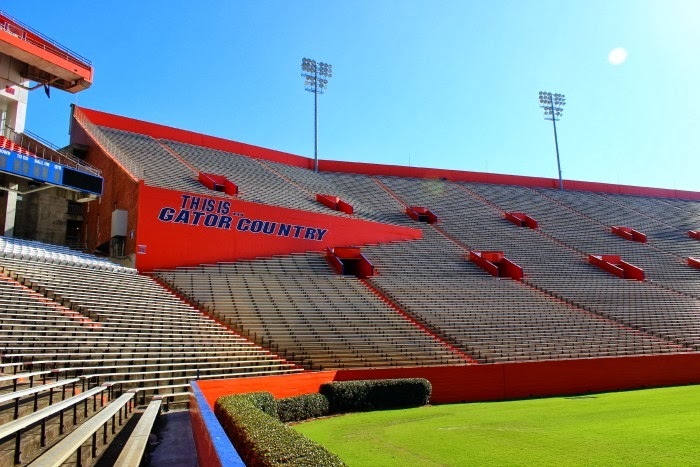 Ahh, there is something that's just magical about the Swamp! I'm so sad that we didn't make it to a game this year, although it's kind of a good thing considering our season!